As the dispute between Canada and China over the arrest of Meng Wanzhou continues to roil bilateral relations, China's neighbour Japan wants Canada to start paying more attention to other Asian countries when it comes to trade opportunities. As the dispute between Canada and China over the arrest of tech executive Meng Wanzhou continues to roil bilateral relations, China's neighbour Japan wants Canada to start paying more attention to other Asian countries when it comes to trade opportunities. 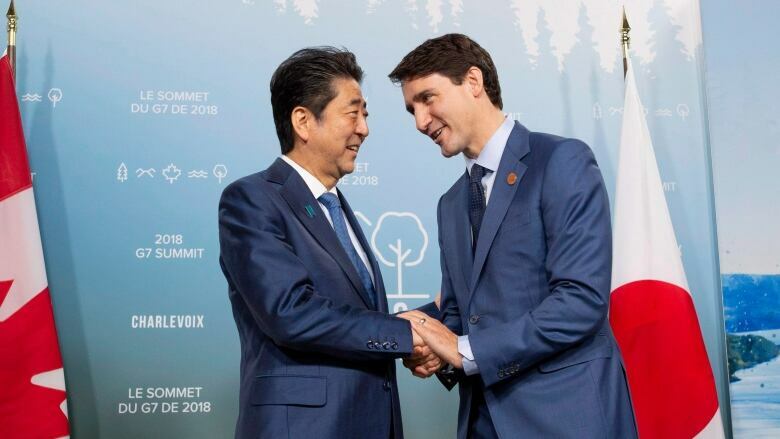 "I think it's high time for both of us to focus a little bit more on each other," Japan's Ambassador to Canada Kimihiro Ishikane said in an interview with CBC Radio's The House airing Saturday. "The Asia-Pacific region is one of the most economically vibrant regions. Canada has expressed repeatedly its wishes to be not only an Atlantic country, but also a Pacific country." The ambassador said there's a lot of unexploited potential in the trading relationship between Canada and Japan — especially now that the Comprehensive and Progressive Trans-Pacific Partnership (CPTPP) is in effect for seven of the 11 countries that have ratified the trade deal. Canada and Japan are charter members of the CPTPP. "From Japan's perspective, Canada is a country of natural resources — uranium, coal, and natural gas and oil," Ishikane said. "At this very moment, oil and natural gas are not exported to Japan, but also there are many other potential areas. For example, artificial intelligence is quite on the rise." Ishikane said his country — which boasts the world's third-largest economy after the United States and China — hasn't paid enough attention to Canada in the past, either. "Of course for Canada, the United States is a bigger partner, and for Japan, it's China and the United States. On both ends, I think, we were not at the centre of the radar screen," he said. "With all the challenges Canada is now facing with its big neighbour, now Canada is really wishing to diversify its trade options," he said. "The window is opening. We haven't found the window of opportunities on each end previously. We haven't been very much aware of the potential of Canada, and vice versa." The ambassador also revealed that the Japanese and Canadian governments have been "in close touch" over what he termed the "very sensitive issue" of Canada's ongoing diplomatic dispute with China. Several European allies have spoken out in favour of Canada's move to arrest Huawei CFO Meng Wanzhou in December, in response to an extradition request from the U.S.; Meng is accused of violating U.S. sanctions against Iran through a Huawei subsidiary. Her arrest was closely followed up by news that two Canadians, Michael Kovrig and Michael Spavor, had been detained in China in what Prime Minister Justin Trudeau has described as "arbitrary" detentions in retaliation for Meng's arrest. "We do share the concerns Canadians have regarding this issue," Ishikane said, adding that "each country has its way to approach this issue." "Generally speaking, the way we handle this kind of thing is, you know, share the concern and talk to friends in discreet manners." 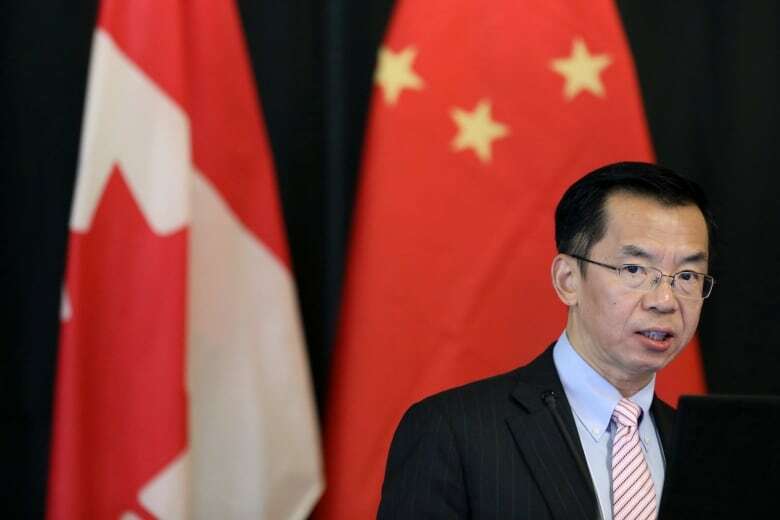 China's ambassador to Canada, Lu Shaye, last week blasted Canada's efforts to recruit international support over the feud in a rare interview with Canadian journalists. "If Canada has a sincerity in solving these issues, Canada will not do such things. We hope Canada will think twice before making any actions," Shaye said. Ishikane also spoke about China's new responsibilities on the global stage as an emergent superpower. "China is an ascending power, and big powers should, in their behaviour, keep a kind of transparency and predictability," he said. "Things that are required vis à vis big power is how they use their power and for what purpose. And they need to make clear the rules of the game by which they play." Ishikane said China's actions in the unfolding diplomatic feud have been "very mixed," something he chalked up to the relative speed with which China has become a leading global player and economic powerhouse. "The ascendance of China has taken place in a matter of a very short time, just 10 or 15 years, so I think they themselves are really struggling with what they should do in the international arena." Listen to the interview with Ambassador Kimihiro Ishikane below. The full episode of CBC Radio's The House - including can be found here.